3V Company was founded in Brooklyn, NY in 1941. Since then, we have taken pride in providing New York City with healthy and delicious fruit based beverage products. Today, 3V products are serving every use in the beverage and food industry bringing our decades of excellence and made in New York City flavor to the whole world. Our mission from inception has always been to craft nutritionally balanced products exceptional for their natural flavor and quality made only with wholesome ingredients and produced in small batches. We are bold enough to take the lead in developing new ideas and products while flexible enough to react quickly to market and consumer trends. Our products are currently available around the world, but we're just getting started. We continually strive to seek out new markets in our growing global economy while remaining totally committed to your success. 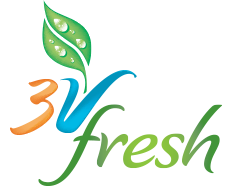 3V Company's products include SmartFruit, 3V Classic, and 3V Fresh. SmartFruit mixes are all about 100% real fruits boosted with powerfully functional superfoods to deliver all the essential nutritional values that nature intended. 3V Classic is the healthy economic alternative to generic pre-mix sugary powders and artificial tasting syrups and incorporate fruit purees, fruit juice concentrates, and natural flavors. 3V Fresh mixes are made with premium fruit purees, fruit juice concentrates, and sweetened with beet sugar. These mixes taste fresh so you'll never find any high fructose corn syrup or artificial colors or flavors.